I’ve always loved typewriters. When I was in school we had typewriting lessons on these ugly electric typewriters and it was really boring. But the old kind that you have to hammer the keys on are just lovely. My husband found a super cute typewriter at a flea market a while ago and I was so happy! It’s fun to do some journaling on it and easier than printing it out. 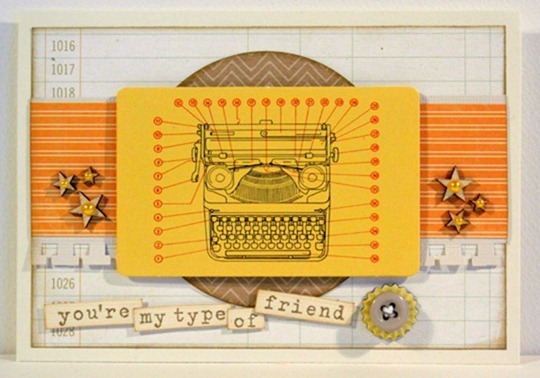 I had this little typewriter card from October Afternoon in my stash and I wanted to use it even though it is orange. 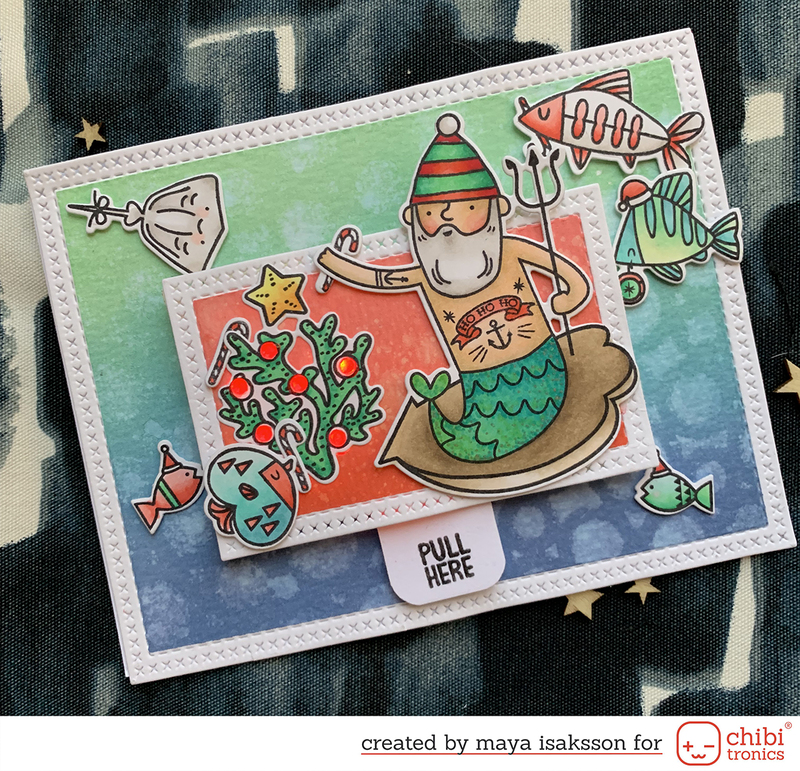 I’m not a fan of orange really but I did it anyway and I like the card.